In this page, we have provided DBHPS Hindi Exam Important Essays 2018 for all Lower and Higher Exams. Candidates can download Prathmic Madhyama, Rashtrabhasha, Praveshika, Vishrad Uttarardh, Visharad Poorvardh, Praveen Uttarardh, Praveen Poorvardh Expected Questions (Essays/ One-word Questions) in PDF format. 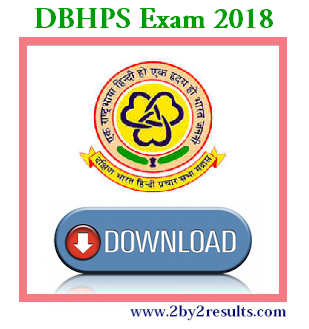 Download Dakshin Bharat Hindi Prachar Sabha Important Questions for the Exam to be held in the month of February and August 2018. 2by2results.com will also publish the 100% Expected Essays and Important questions for February 2018 Exams. Candidates can make use of those Questions and start preparing for the Exams.